This is the best scan I could get of a map published in Pigot’s 1840 “Counties of England” atlas. It isn’t entirely readable, as it is shrunk a little from the original size, but gives a fair idea of the county as it was understood (at least by a London map maker) almost two hundred years ago. The population of the entire county in 1700 was around 28,600 which by 1821 had grown to 54,200. 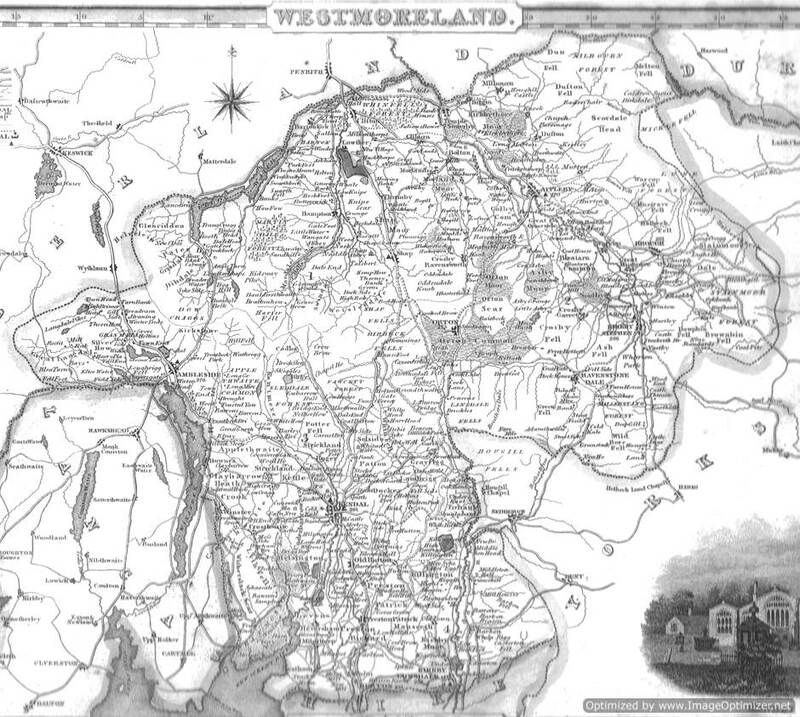 It is worth noting what the atlas notes say about the rivers of Westmorland.